The Cork Mother Jones Committee is proud to announce that renowned labour and union activist, folk musician and singer is also on her way to the 2014 Spirit of Mother Jones Festival. Each year Anne organises a tour of Ireland and this year for the first time she will include the festival in Cork as part of her itinery. Anne was born in Charleroi, Pennsylvania in 1951; she was deeply influenced by the Civil Rights movement and the anti Vietnam War movement. Her grandfather, William Patrick Feeney, was a mineworkers’ organizer who played his violin at labour and union rallies, and was also a key role model. Her first public concert was at an anti-war rally in November 1969. Anne graduated from the Pittsburgh School of Law in 1978, and worked as a trial attorney for 12 years. She served as president of the Pittsburgh Musicians Union in 1997 and 1998. She is a member of the IWW (Mother Jones was among the founders) and the American Federation of Musicians. Since 1991, Anne has toured North America and many other countries to participate in labour rallies. The track Union Maid on the 2003 Union Maid CD which was written by Woody Guthrie and sung by Anne was recorded at the grave of Mother Jones at Mount Olive, Illinois on October 9th 1994. 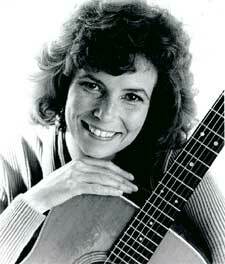 She has recorded songs written by Ewan McColl, Peggy Seeger, Si Kahn, Tom Paxton as well as many of her own compositions. Many consider that her rendering of the famous union song written by Florence Reese, Which Side Are You On? to be the definitive version! Anne was once described by Utah Philips as “the best labour Singer in North America”. while her music has been recorded by many artists including Peter, Paul & Mary. “Few women have taken Woody Guthrie’s path……but Anne Feeney has made a career of it.” Labour History Foundation. Her business card proclaims her hell-raising activities and lists her business as folksinger and agitator. Anne paid a visit to the Mother Jones plaque in Cork last year. Anne was diagnosed in August 2010 with small cell lung cancer, yet Anne has continued to tour and travel. She visited Cork briefly in 2013 to see the Mother Jones plaque and will now return for the Spirit of Mother Jones Festival from 29th July till 1st August. Anne will play a joint concert with Si Kahn at 8.30 at the Firkin Crane Centre in Shandon on Thursday evening 31st July. 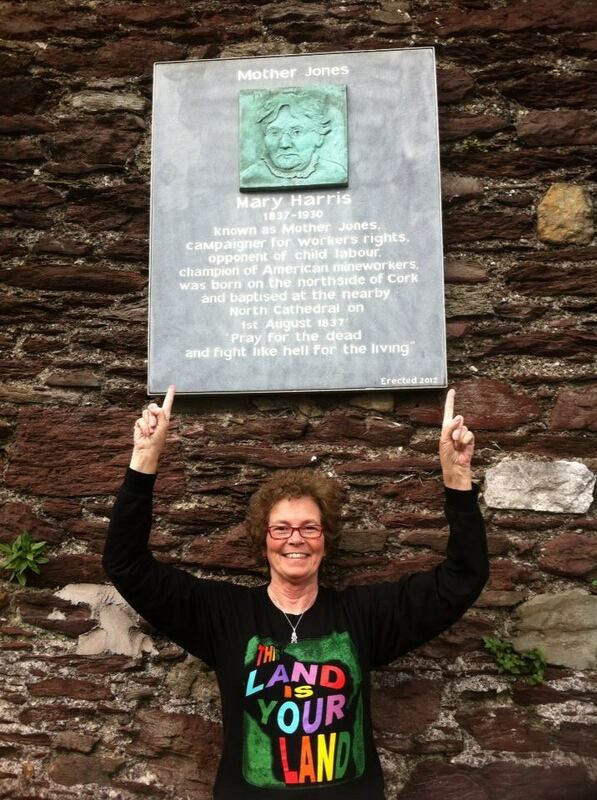 She is leading a Labour History Tour to Ireland which will take in the Spirit of Mother Jones festival in Cork. For details of how to join the tour contact Innisfree Tours or anne@annefeeney.com or visit Anne’s website on http://www.annefeeney.com.